B Product Description: Assisted by rich industrial experience and immense knowledge, we are able to manufacture UPVC Solvent Cement. 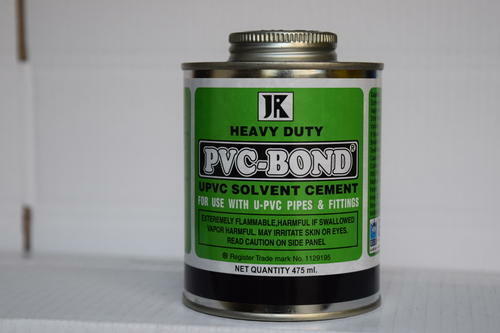 Assisted by rich industrial experience and immense knowledge, we are able to manufacture UPVC Solvent Cement. All Joins UPVC solvent is a solvent base products 0% gum 100% gum less solvent products, A solvent that give a life time guaranty of neither getting vaporized nor becoming getting thick. All joins UPVC solvent are made plumber friendly as they give the plumber the freedom to rotate and adjust the pipe up to one minutes as per their convenience.